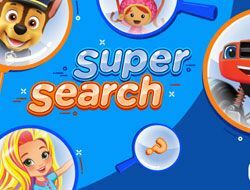 If you are looking for all the best Team Umizoomi Games on the internet, then you don't need to look any further, because you are in the right place, and the right time, of course, on www.friv-games-today.com! We have done our best in order to gather all the amazing Team Umizoomi Games on this page, which you can now play and enjoy for free, only on our website! The Team Umizoomi Games category was created in 05.10.2016 and from there we added more than 33 games for boys and girls that are interested in gaming online. These games were voted in total 502 times and the best game from Team Umizoomi Games it's Blue Mermaid Rescue. 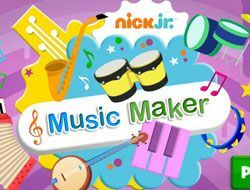 We recommend you to play the latest game added in this category on 13.11.2018 which it's Nick Jr Express Yourself. If you want Team Umizoomi Games, just click here. 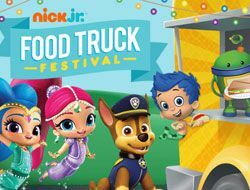 Right now on www.friv-games-today.com you can play Team Umizoomi Games, which is one of the latest Nick Jr Games and Nickelodeon Games categories that we have created for our website, as we are trying to have categories made for all the shows that currently air or have aired in the past on these networks, knowing very well that there are many children who are watching them or have watched them in the past, and that these kids would love it to play games with their favourite characters. Well, the Team Umizoomi Games on our website are a great playable experience for all the children visiting our website, especially those who love sciences, but also to have fun at the same time. Why is that? Well, because the show, while it is a fantasy and musical one, it includes many elements of science, and the episodes teach children about things like counting, shapes, patterns, measurements, and many other things. 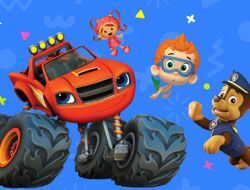 Of course, while the show focuses on these things, and it presents them in a very fun and interactive manner, playing Team Umizoomi Games you can get even more hands-on, and you can interact with the characters directly, and do all sorts of fun stuff, like catching thieves, do car racing, ride a bycicle, play with monkeys, play hide and seek, fly a kite, and many other things. Yes, you can do all these interesting things on our website, and many more. If you want to know more about the show before you begin playing the games, don't you worry, because all the information you need will be found right here, in this description! Team Umizoomi is a team that is made up of Milli and Geo, who are both superheroes, Bot, who is a robot, and last but not least, you, the child who is viewing the show, or playing the games, whom the characters refer to as Umifriend. You, as their Umifriend, you are encouraged to develop your Mighty Math Powers, by watching the shows or playing the games, which is always really fun and helpful for you! Umi City is where the action of the show and of the games takes place, which is a very colorful city with a very interesting design. Sounds really cool, doesn't it? 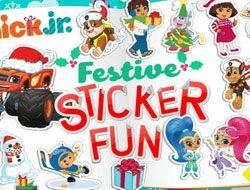 Well, then, we invite you to try all of our Team Umizoomi Games right now, because you will get to do a lot of fun activities, like solve puzzles, color pictures, find differences between pictures, match objects, or all the other fun things that we have told you about previously in this description! That's really all the basic information that you should know about the show and the category of games, and know that you know all these things, we are sure that you are even more pumped up about trying the games. What are you waiting for, then? Start any of our Team Umizoomi Games right now, and when you are done with all of them, remember to try all the other games on our website, as we can currently provide you with lots of enjoynment, and always will.